In the words Neil Sedaka, “Breaking Up Is Hard To Do.” If you’re like me, you probably grew up hearing that aphorism from every parent, second cousin, or high school guidance counsellor who ever gave you relationship advice. 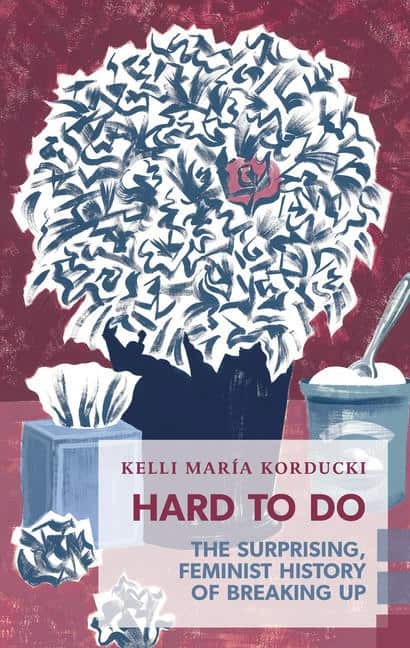 Well, now breakups are finally getting the feminist examination they deserve in the form of Kelli María Korducki’s groundbreaking book, Hard To Do: The Surprising, Feminist History of Breaking Up. Fresh off the presses from Coach House Books, Hard To Do is part of Korducki’s quest to create a book about the unfiltered reality of breakups (not the Instagram version). In the pages of this opus, Korducki explores why ending a relationship is sometimes the right–and the most feminist–thing to do. Inspired by a breakup she experienced in her late twenties, Korducki began wondering why there is so much social pressure for women to find–and stay in–relationships, whether or not they want to. 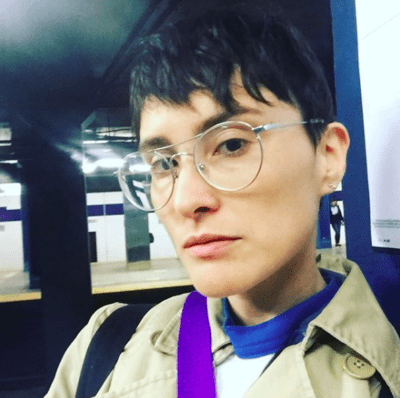 A veteran feminist writer whose work has appeared everywhere from Brit + Co and Torontoist to The Globe and Mail, the New York-based reporter set about writing the book she wished she could have read during the demise of her relationship. And the finished product became something fantastic! Hard To Do is for any woman who’s ever resisted the pressure to settle down by a certain age or refused to be happy with an unhappy domestic partnership. It’s a must-read for history nerds (like me) who wonder how breakups have changed throughout history. But most importantly, Hard To Do is a reminder that you should never feel ashamed when a relationship doesn’t work out. Breaking up may be hard to do, but sometimes it’s the right thing to do. We sat down with Korducki, and here’s what she told us about her work and the feminist politics of breaking up. KK: I kind of wrote the book that I wish had existed when I was going through a significant breakup. Basically, all the self-help and breakup advice books you run across on the Internet and Amazon never assume it’s time for the relationship to end. They make all these heteronormative assumptions that you’re just with a guy who isn’t ready to commit. But we know that there are actually many reasons for people to end relationships, and I wanted to write about that. The book is a researched and historical path through how relationships and breakups have evolved until present day. Basically, women couldn’t really leave a relationship until the 19th century. That’s when divorce laws entered the picture. Mostly, they were contingent on proven abuse: if you could prove you were beaten within an inch of your life, maybe the judge would believe you. Even then, in order to sue for divorce, a woman would have to be in a position of social and economic privilege, because she was risking being shunned by society. Fast-forward to the 1970s: the no-fault divorce was introduced. It first came to California, where it was–surprisingly–Ronald Reagan’s baby. It’s been a rocky road, and we still haven’t shaken legally or culturally that a relationship can end just because it’s time to end. There’s so much presumption of wrongdoing. We’re in this really interesting time where women don’t have to get married. We can make our own money and live our own lives and download apps for dating; however, there is still this cultural pressure that argues long-term relationships are something we should want, whether we are straight or queer. They are still seen as aspirational, and people who do not want them are seen as atypical. Financially, materially–it also makes so much more sense to be married or partnered. Everything about the way our society is structured sets it up so domestic relationships save money, time and domestic labour. There are all these different considerations when you are thinking about breaking up with someone. Right now, we’re at a cultural moment where we’re well placed to make decisions about how we want to live that do not rely on the wisdom of our moms. Our moms’ realities aren’t ours. We need to figure this out for ourselves. I think making any difficult decision for the sole purpose of your ability to be happy and to have the life you want is a feminist act. We’re brought up to think, “If some dude loves me and treats me well, I’d be a fool to get rid of that, even if it’s not working for me.” We still internalize that idea and it’s radical to unlearn it. But it’s very brave to do so. Well, don’t do what I did, which was to throw myself into unhealthy amounts of work and immediately jump into a new relationship. Take some time, be nice to yourself, and don’t rush into dating. Surround yourself with supportive women and friendships.